Wall Street Journal says access to venture capital is 20 times greater in Israel than in the rest of Europe. 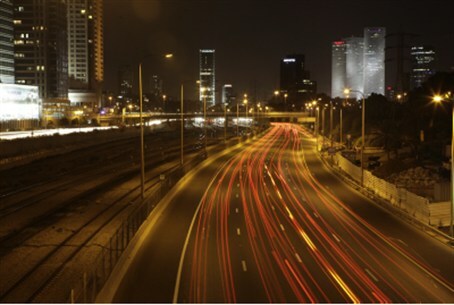 Europe's top technological city is Tel Aviv, according to the Wall Street Journal. WSJ credits Ron Huldai, Tel Aviv's 13-year mayor, for "building a tech center second only to Silicon Valley." In a recent interview with WSJ, Huldai explained that "Tel Aviv had become a city that people used, not a city they lived in. We are creating a good place for hi-tech people to live in—I am doing it for the people working in hi-tech. It is about building an environment that is supportive," he said. The Journal says Huldai adopted a "bottom-up" approach that woos hi-tech people on the cultural level. London, by comparison, has had more of a "top-down" approach, attempting "to take an existing small tech community and build on top of it a corporate ecosystem, by courting the likes of Cisco Systems, Google, Facebook and Intel into the area, wooing the financiers (Silicon Valley Bank) and pulling in big names (McKinsey)." It is not clear from the WSJ piece if Tel Aviv's success is really due to anything the mayor did, though, or simply to Israeli tech culture's superiority. In any case, something is working well: according to a report commissioned by the city, the greater Tel Aviv area hosts more than 600 early stage companies. Per capita access to venture capital is 20-fold greater in Israel than in the rest of Europe. "If you take the amount of VC per capita, in Europe, it is $7. In the U.S. it is $72. In Israel it is double that," Jan Müehlfeit, Microsoft's European chairman said last year.